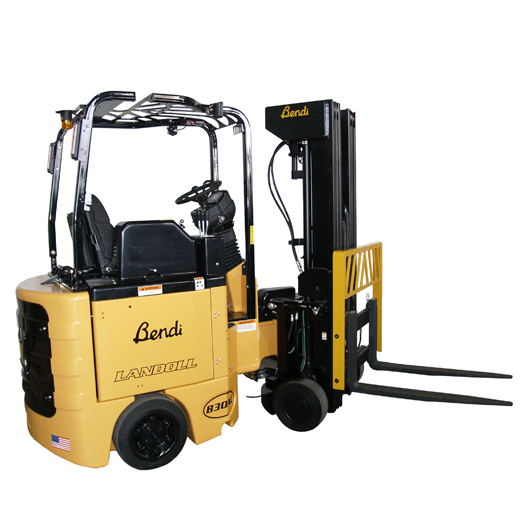 Bendi & Flexi Forklifts & Lift Trucks | KMH Systems, Inc.
Bendi & Flexi has reshaped the material handling market by offering versatile very narrow aisle forklift trucks that can both work in tight spaces but load trailers. For the last 20 years the Bendi has developed from being a niche product to one that sells in the same numbers as conventional reach trucks and has dwarfed the VNA market that it set out to replace. Flexi was the original and the most cost effective solution in the industry. Designed to give optimal aisle performance whilst retaining many of the features which have made the award winning Bendi the first choice in articulated forklift trucks, capable of storing pallets in 4′ 9″ aisles offering great space savings over counterbalance and reach trucks. Bendi can achieve a storage density that exceeds that of a very narrow aisle (VNA) installation. 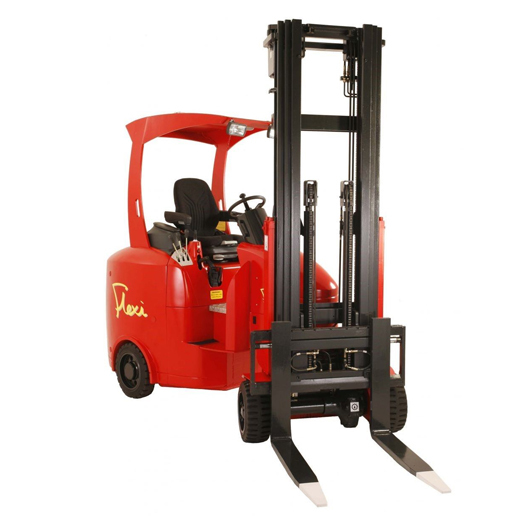 The Flexi is designed to operate in an aisle as narrow as 3’ plus the depth of the pallet. It is capable of picking both sides of the aisle from either direction and can actually leave the aisle to unload trucks at the dock. By significantly decreasing the aisle width, 25-50% when compared to reach trucks and conventional lifts, the end user significantly increases the cubic utilization of his existing space. Simply stated, the Flexi let’s you store more, in less space, at a lower cost. The savings are very real and result in a rapid return on investment.